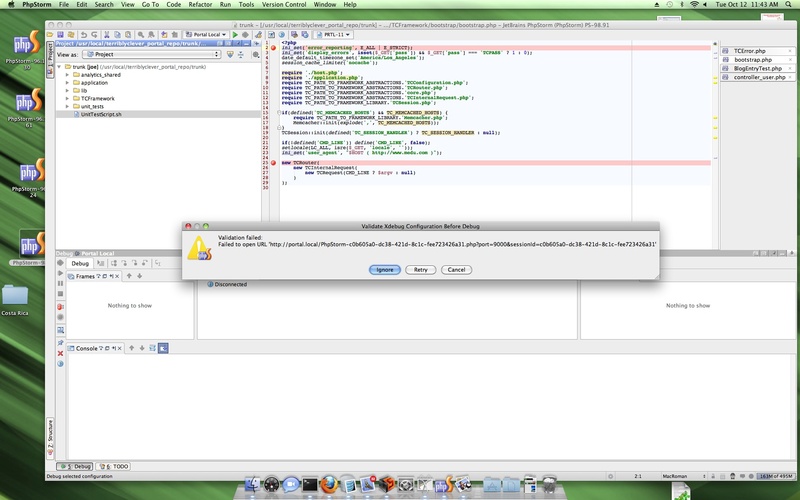 I have never been able to figure out how to set up mappings in the PHP debugger. Can anyone help??? I'm running apache2 locally. 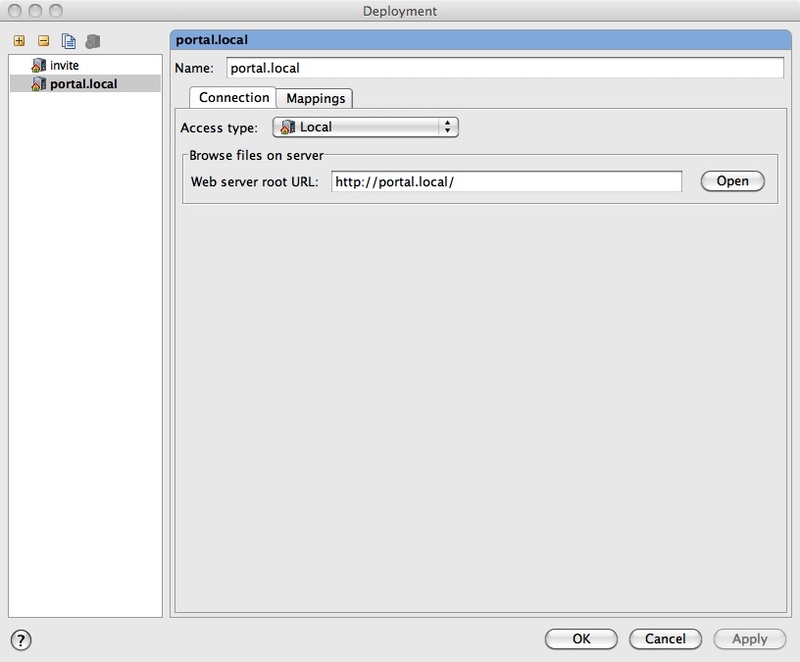 The doc root (per httpd.conf) is /opt/local/apache2/docs/portal/ which looks like this. drwxrwxrwx@ 11 root admin 374 Sep 3 09:10 .
drwxrwxrwx@ 4 root admin 136 Jul 21 15:31 .. Here are the config settings that worked until PS-98.108. 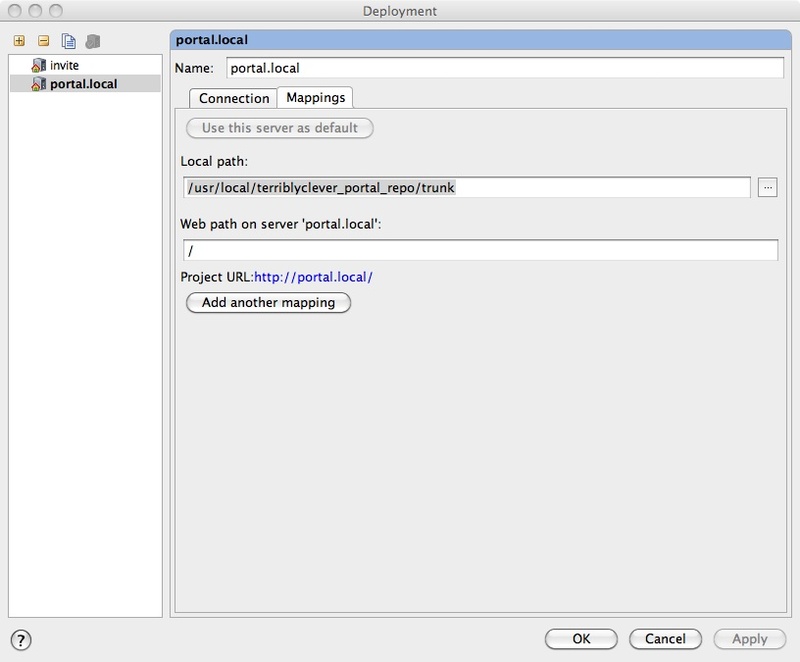 Try the latest EAP build (PS-98.145) -- just published. It fixed debugger issues (at least those that were affecting my setup). Then we can look for the rest. PS-98.145 does indeed address many of the Debugging issues that cropped into PS-98.108, I'm still having the issue (Validation Failed) that I describe here. 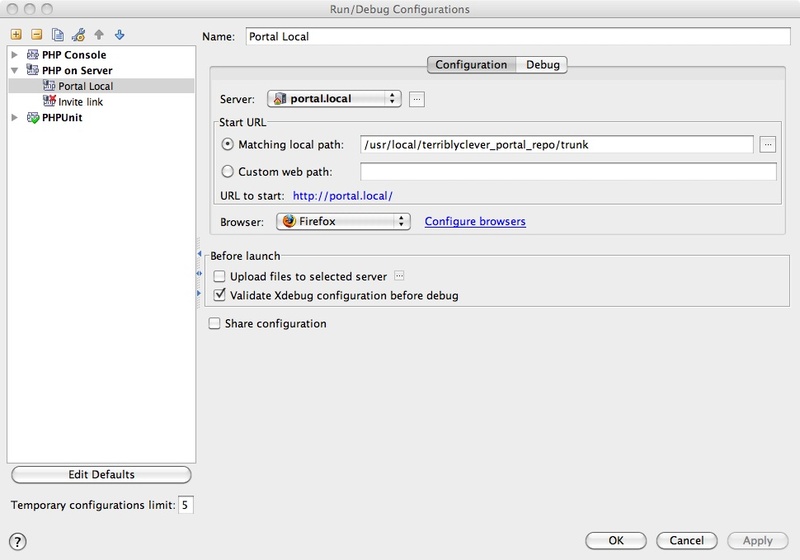 I do not really know why that "Validate Xdebug configuration before debug" option is required for each run. I mean -- yes -- for first debug launch .. or after you made some Xdebug configuration changes .. or after you have updated Xdebug module. But after that -- do you really need this if you perfectly know that Xdebug is there, it's properly configured and working ?? Now, back to that "validation failed" message. As far as I remember, if that option is turned on, then before each debug run PhpStorm will put special file into the root folder of your site (you can see that on your first screenshot -- it starts with "PhpStorm-", then some random GUID (http://en.wikipedia.org/wiki/Globally_Unique_Identifier) and will delete it after validation (successful or not). Now, if I understood correctly, your project root and website root are completely different folders, right? So PhpStorm puts the file in one place/directory, but apache looks for it in another directory (when PhpStorm tries to execute that script). This may be the root of the problem. What I'm trying to say here -- try to debug with that option unchecked/turned off. In my opinion this should do the job.